When you have any unread messages, you will be notified via a blue dot next to the " Connect" tab symbol at the bottom of your page. Click on the "Connect" symbol to open up the menu. Click the "Unread messages" tab at the top to see all of your unread messages in a list. This will sort in chronological order with the most recent at the top. Click on a message to open up the text screen and enter your reply. 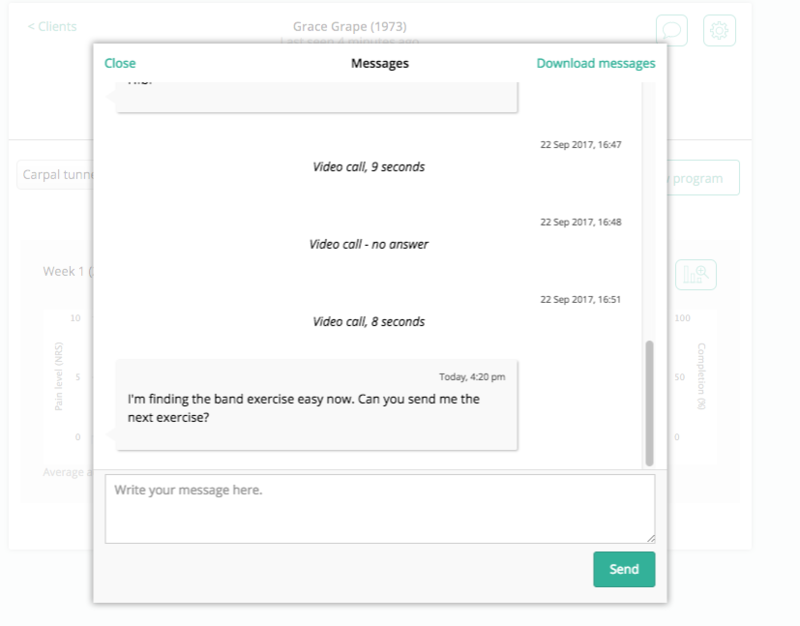 NOTE: Closing the " Messages" window will land you in the clients file so that you can update their programme, check their outcomes or address any other tasks that have arisen from the chat.